||Covet |of Thistle Street, Edinburgh – is a real treasure trove of a store for accessories lovers. Think less well-known handbag and accessory brands from all over Europe that can’t be found anywhere else in the capital. Think pieces that just have that point of difference from so much of what’s available on the high street and from high-end designer labels. That’s Covet. 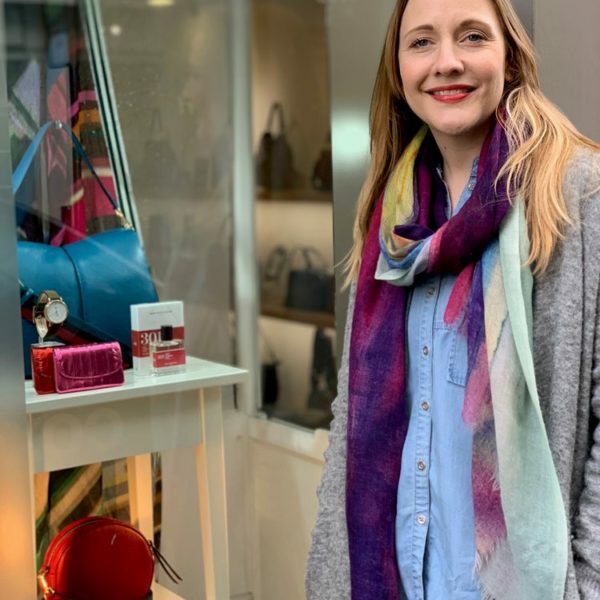 So we are super excited to announce that Covet co-owner Blaise Donald and her handpicked selection of Covet gems are coming to Restoration Yard’s store on the evening November 29th, as part of our late-night shopping ‘Meet The Makers’ event. 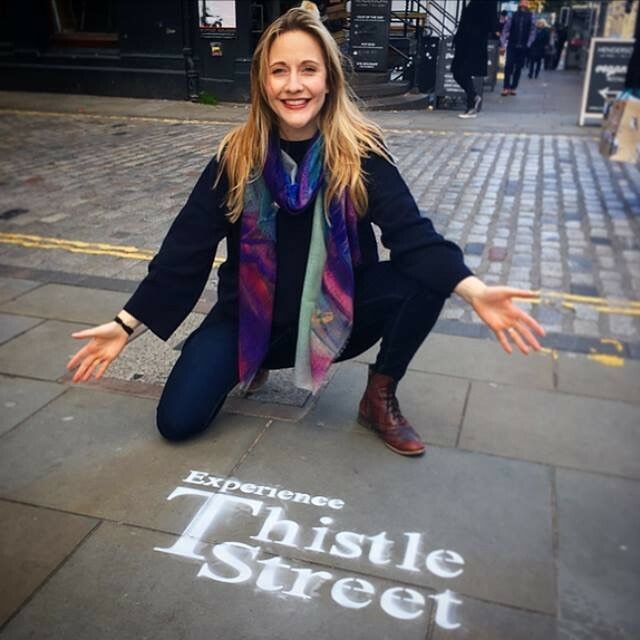 Come along, find yourself inspired by meeting one half of Edinburgh’s most passionate, creative and intuitive business duos and pick up some amazing gifts. Here’s our very quick catch up with her on what she will be bringing to RY on the night. So, Blaise, tell us a bit about why you’re bringing Covet to RY? We love the whole of the Restoration Yard’s aesthetic and the store’s ethos. It really feels like Covet and Restoration Yard are the perfect match. Tell us what Covet will be showcasing at our Meet The Makers event? Well, I’ll be bringing along our beautiful Anna Somerville scarves. As well as being my co-owner of Covet, Anna is also an abstract artist. We decided it would be amazing to bring her art into the store in pieces that could be worn, making abstract art accessible. 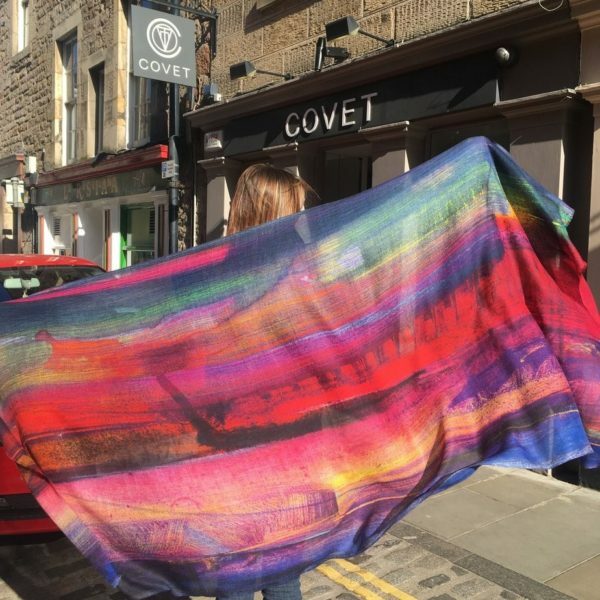 She’s created a beautiful autumn/winter collection in which each scarf design has been taken from an original oil painting of Anna’s and digitally printed onto a 100% wool scarf. At £69 they are a fantastic buy. You’re well known for bags. Can we expect to see some on the night? I’m also bringing our own-label Covet bags, which we launched last year. We launched Covet the store in 2007. After a decade of countless trips to fashion trade fairs in Milan and Paris, we felt qualified to bring a desirable collection of Covet own-label handbags to the UK market. We have also been listening all these years to our customers telling us what they wanted. We feel perfectly placed to create a capsule collection of beautiful, practical, affordable, quality, luxury bags women will love. There’s the Covet Essential clutch, which can work on a night out as a standalone piece but is also handy as a bag inside a bag for organisation; the New Town bag, which is a comfortable shoulder bag that can convert into a cross-body bag; The Tote, which works hard by being a good size to carry laptops and other every day essentials; and finally, there is our bestseller the Edinburgh Bag. Why is the Edinburgh bag a favourite? 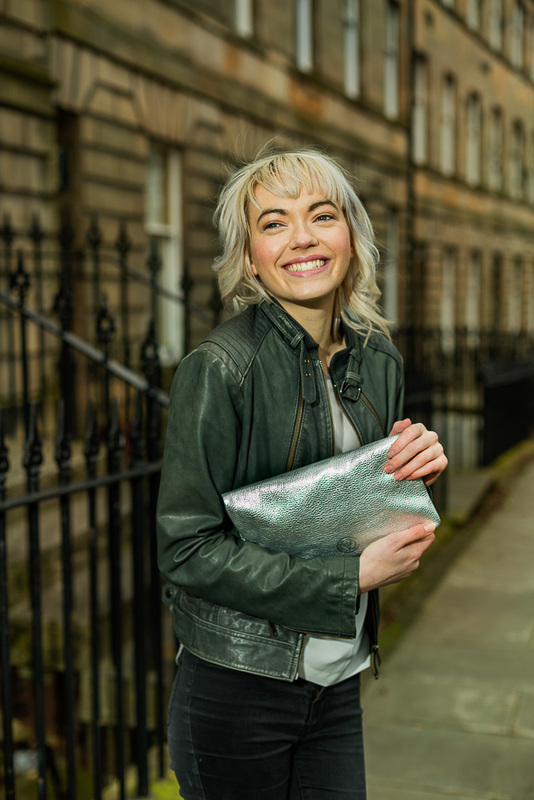 We designed the Covet Edinburgh Bag to be a true multi-tasker. It’s been created to take women effortlessly from day to night. For during the day the detachable strap can be adjusted to any length allowing it to be worn as a cross body or a shoulder bag, either folded or open as a messenger. When it comes to evening you can take the strap off to strap to transform it into an elegant clutch with room in its two zipped section for all essentials. And, like all our bags, it’s handcrafted in Spain from luxurious Italian leather.